The most obvious way to say money is to spend less money. That might mean making coffee at home instead of driving through Starbucks on your way to work, or it could mean cutting back on the times you eat out each month. But, if you really want to crack down and save some money, you need to use everything you have at your disposal. That means using the internet to save every penny you can. Here are a few ways you can use the internet to help you save money. Did you know you can save money by spending money? Of course, this is only the case for things you would buy anyway, but it’s a great strategy to use when it’s time to fork over rent or pay a medical bill that comes in the mail. Using the internet, you can send money to anyone in the world. Many services have much lower fees, or no fees, when compared to pulling out cash at the ATM. You can save money buying checks and stamps when you use the internet to send money too! Business benefit greatly from digital coupons. That’s because they’re so easy for consumers to use! Not to mention, they can come with some great deals, all without having to stuff your pockets with coupons you cut out of a magazine. You know you need to put more money into your savings account each month, but when the end of the month rolls around, it can be a lot more tempting to go out to dinner than put that extra $50 in savings. Trick yourself into saving more by having money automatically transferred from your checking account into your savings account at the beginning of the month. That way, you don’t have a chance to spend it, and you don’t have to remember to transfer the money yourself! Paper statements come in the mail every month, but you can check your bank account online every day! Why would you want to do that? Checking your account every day can help you avoid overdraft fees, it can help you get a handle on monthly fees and bank charges, and it can help you catch fraud before it keeps you from paying your rent at the end of the month. There are a lot of things you can do to save money, but enlisting the help of the internet is one of the best ways to save some green! 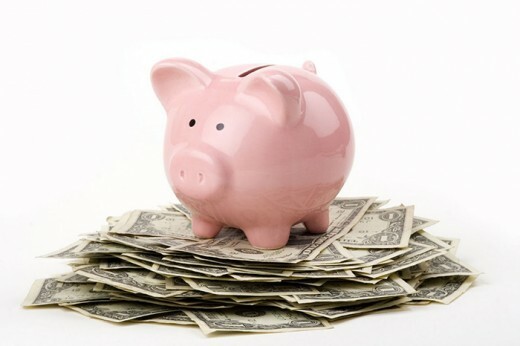 Use these tips and you’ll bulk up your savings account in no time.